UltraPlay has been shortlisted in the “Best eSports Service Provider” category of both the Baltic and Scandinavian Gaming Awards, organized by European Gaming Media! UltraPlay ended up on the first place in the “Best eSports Service Provider” category after an intense online voting stage, where 28641 votes have been cast. The BSG Awards aim to reward gaming software suppliers, operators and service providers that are active in the Baltic and Scandinavian region. In March, people voted online for their favorites to help them reach the top five for their respective categories. 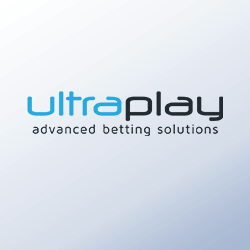 Since day one of the voting stage, the results have been ensuring that UltraPlay is undoubtedly a leader in the eSports platform and odds provision. The continuous leading position in our category fascinated the organizers, European Gaming Media, which contacted our CEO, Mario Ovcharov, for an interview, that you could read here. Alongside, our CMO, Lyubomira Petrova, has been invited as a speaker in the panel “Gambling Industry in 2020” during the summit. The winners will be decided by the attending delegates via final voting session at the second edition of MARE BALTICUM Gaming Summit. The conference and awards ceremony will take place on May 9th, in Vilnius, Lithuania.